Menard, Inc. received approval recently from the Fayette County Commissioners for a tax incentive agreement for the construction of its new facility. The new facility will be a Menards Manufacturing and Distribution plant. It is being built along State Route 41 North—between Parrott Station Road and Creamer Road. According to officials, there will be a concrete plant, truss plant and wood treatment plant as part of this new facility. The Jefferson Township Trustees gave their consent and approval for the request so the commissioners decided to move forward and enter into an enterprise zone agreement. It is a 60 percent Enterprise Zone Tax Abatement on Real Property taxes for a period of 10 years. The agreement to designate FirstEnergy Solutions Corp. as the provider of retail electric supply and related administrative services was renewed. The renewed term will last from May of 2020 to May of 2021 at a price of 4.81 cents/kWh. This aggregation is to be provided to Fayette County participants in the aggregation program that are located within the service area of Dayton Power and Light. County engineer Steve Luebbe was authorized to enter into a contract with the Ohio Department of Transportation’s Sodium Chloride requirements for the 2019-2020 winter season. The exemption of property taxes due on Land Bank-owned properties prior to Nov 13, 2018 and all future transfers to the Land Bank was moved by Branen Weade and seconded by Fayette County Commissioner Dan Dean. Commissioner Tony Anderson called for a voice vote. All were in favor of the future exemptions and exemptions on the following properties: 713 St. Route 753, 7107 St. Route 753, 531 East Elm St. and 1015 Pearl St. 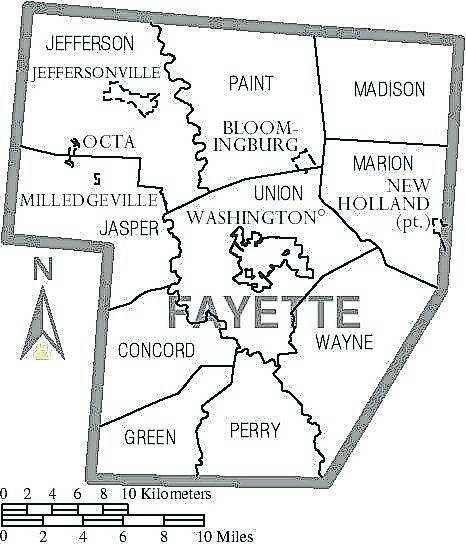 The next Fayette County Land Bank meeting will be held on April 8 at 10:30 a.m. in the fourth floor conference room of the county administration building.